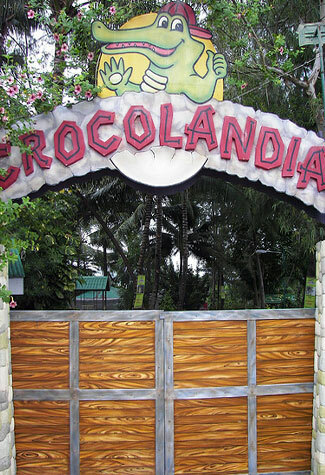 Crocolandia is another must-visit destination in the province of Cebu. The mini-zoo/park, which is the first of its kind in the region, is located in Biasong, Talisay City. It was founded in 2001, by The Crocolandia Foundation Inc., which is a non-profit, non-stock private organization focused on nature and wildlife conservation. The park provides a habitat for endangered and endemic animals. It is now home to varieties of mammals, birds and reptiles. A huge majority of its animal population is made up of different species of crocodiles, which obviously accounts for its name. In fact, the park’s most famous resident is a six-meter long saltwater crocodile named after our very own hero, Lapu-Lapu. Crocolandia, in its mission to educate, also features a museum and a library. For further amusement, the park also has several gardens and fishponds, a souvenir shop, and a playground. You can also dine at the Crocolandia Grill whenever you feel the need to replenish lost calories from touring the place. So plan a day out with the kids and let them have fun while learning more about nature, wildlife, and biodiversity. Don’t worry; the Crocolandia experience is easy on the pocket with a reasonable entrance fee of P80 for adults and P40 for children 11 years old and below.